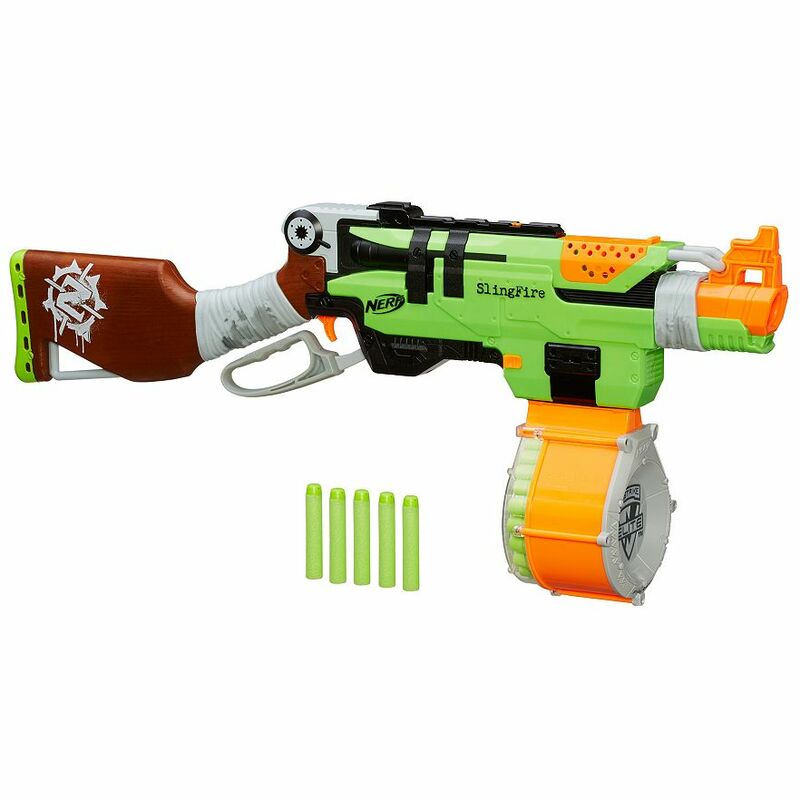 Straight from their Facebook page, Nerf shows off the second blaster, which, along with the Retaliator, has an August release. The Hail-Fire will have a September release. Drumroll please…. We’re happy to officially reveal this shot of the Nerf N-Strike Elite Rampage blaster, coming your way this August. Now that you’ve seen the shots of the Retaliator blaster and the Rampage blaster, you know what you’re waiting for, right? THE N-Strike Elite Hail-Fire blaster. Stay tuned. 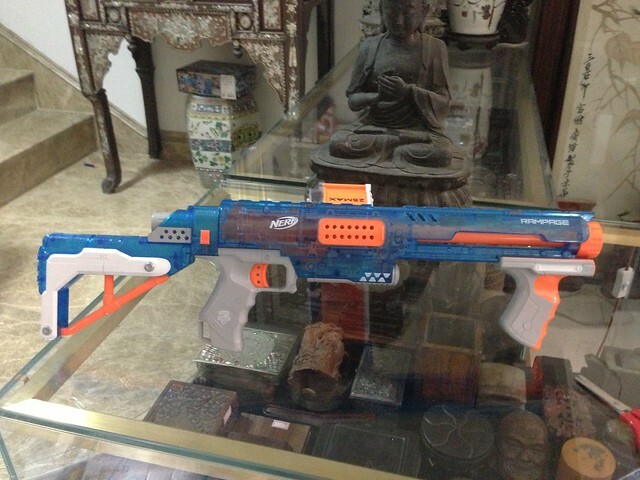 In a video preview similar to the Retaliator preview, they show off the second blaster from the N-Strike Elite line. 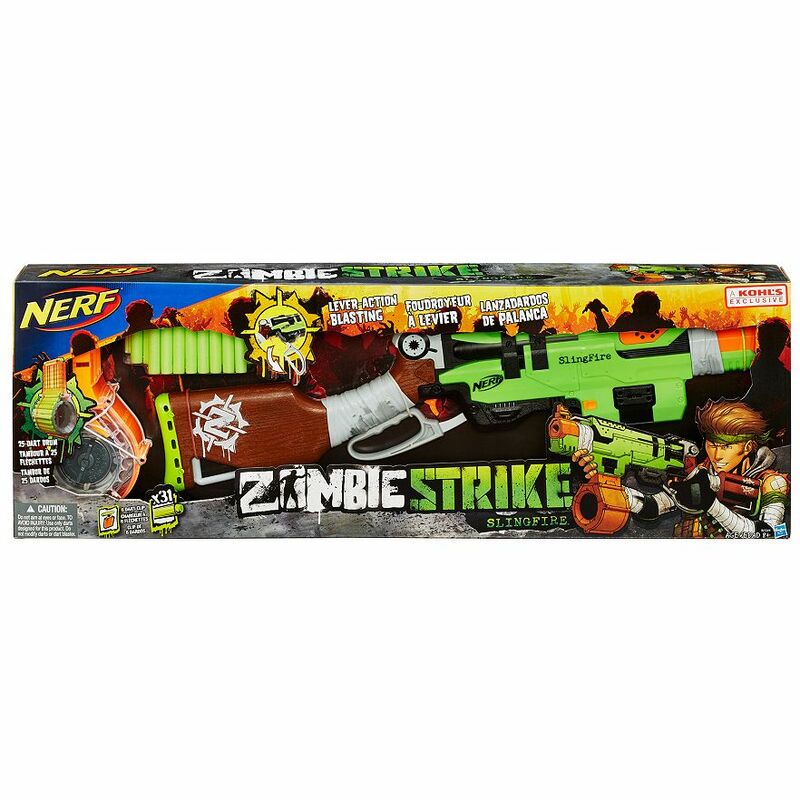 I thought this blaster was coming with a shield and new stock though?